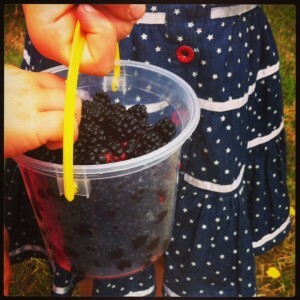 After a morning bikeride collecting blackberries with the kids I was inspired to bake a berry pie, so I went through my archives and found this super yummy Jumbleberry pie recipe that Nelleke Gorton taught me how to bake. 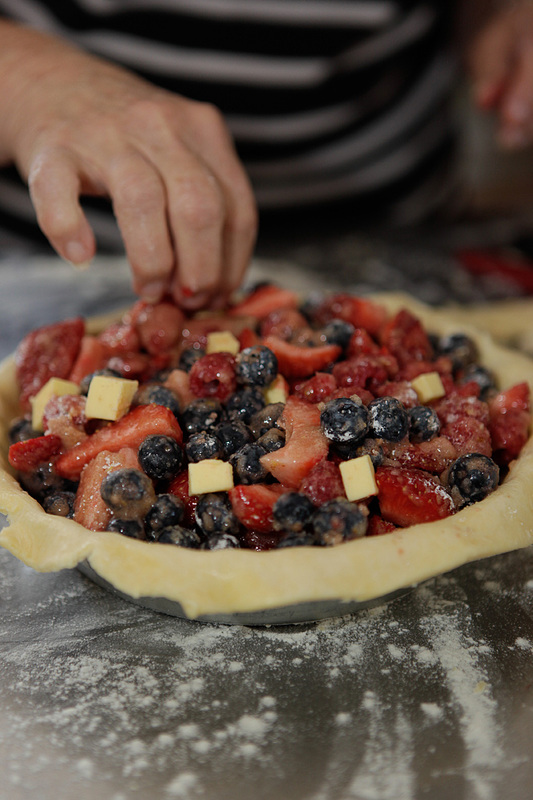 Real crust, fresh local berries, beautiful. 1. 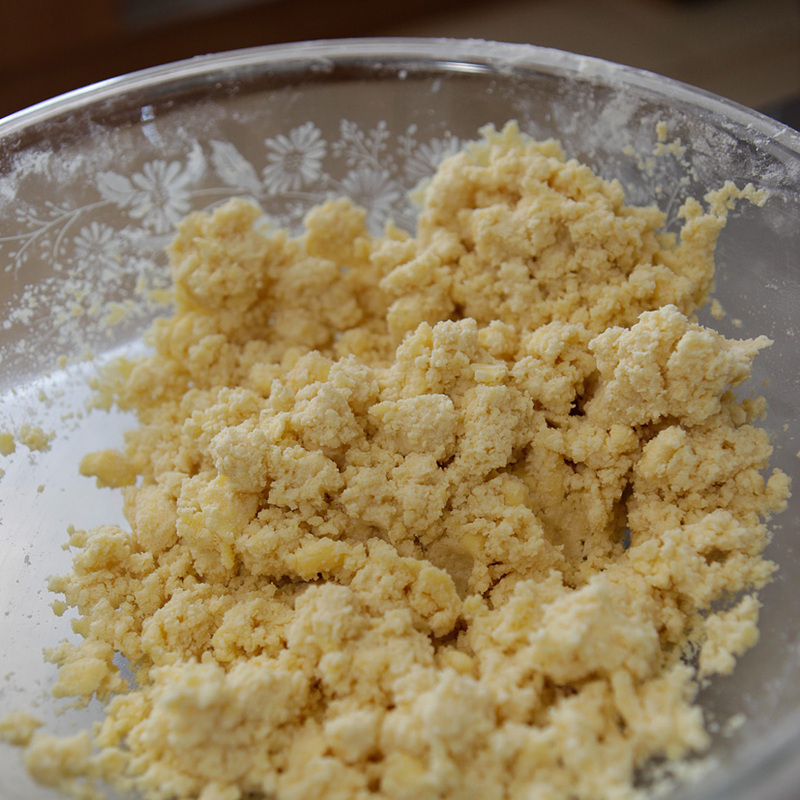 Sift together flour and salt into a large mixing bowl. Rub in butter until it resembles coarse meal flecked with pea-size pieces of butter. 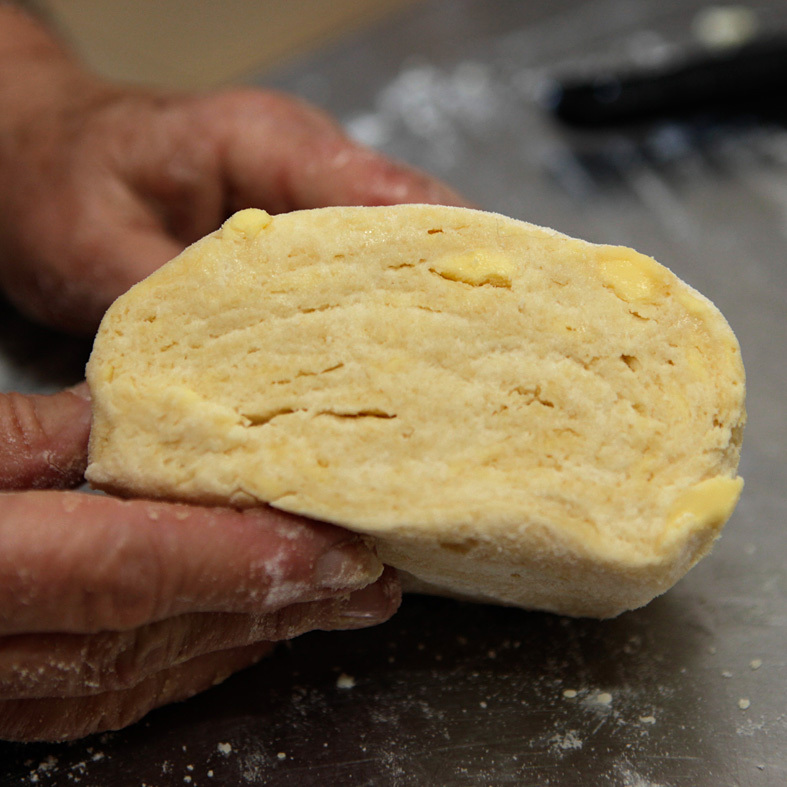 Sprinkle in up to 10Tbsp of ice water, stirring dough with a fork until it begins to hold together. Press dough into a rough ball, transfer to a lightly floured surface, divide in half, and flatten each dough ball slightly to make a fat disk. Wrap in plastic wrap and refrigerate for ½ hour. 2. Preheat oven to 200°C. Allow dough to sit at room temperature to soften slightly before rolling out on a lightly floured surface into two 12 inch rounds. 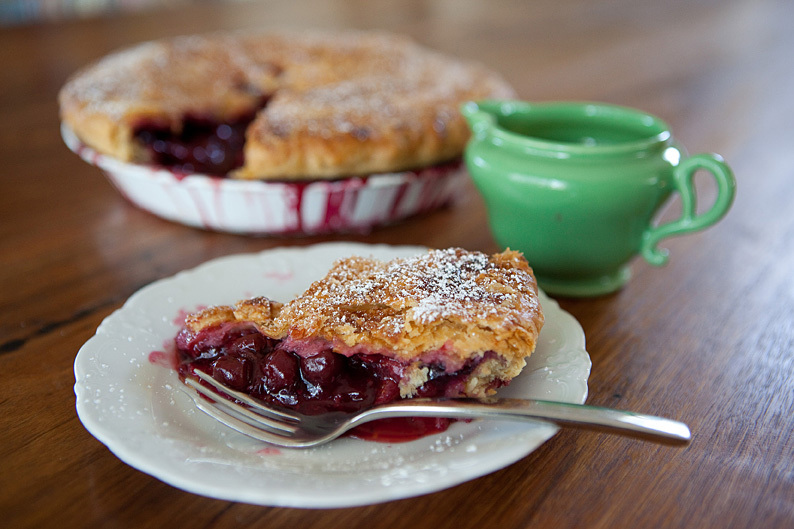 Fit one round into a large pie plate. 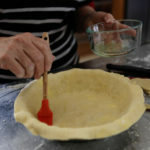 Set other pastry round aside while preparing filling. 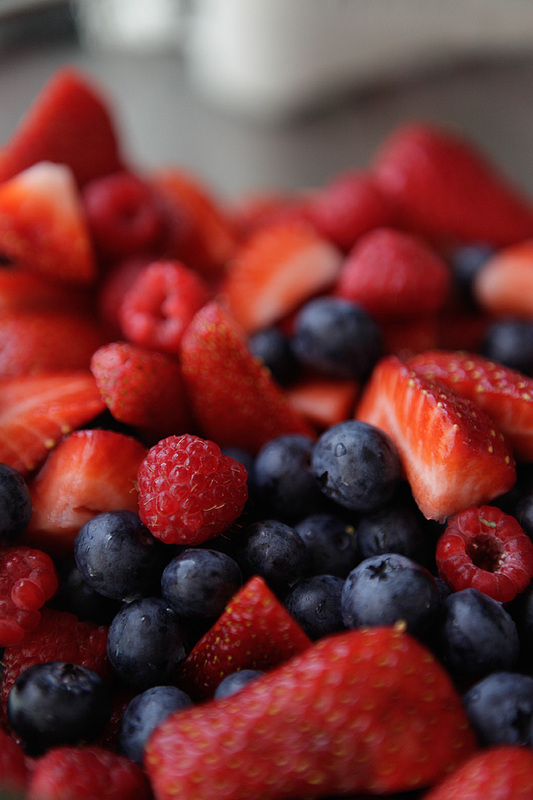 BERRY FILLING: Frozen berries can be used but must be defrosted in a sieve so extra juices are drained off. 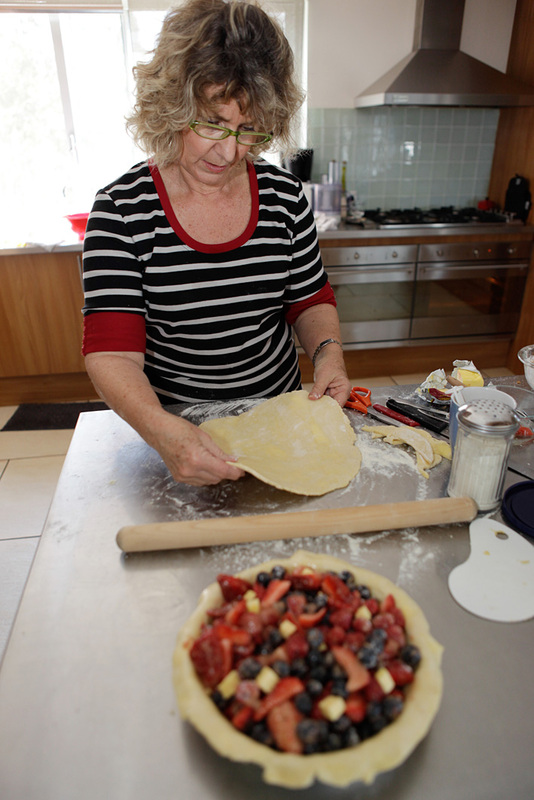 1.Toss together the berries and sprinkle over the cornflour, zest, cinnamon, and sugar. 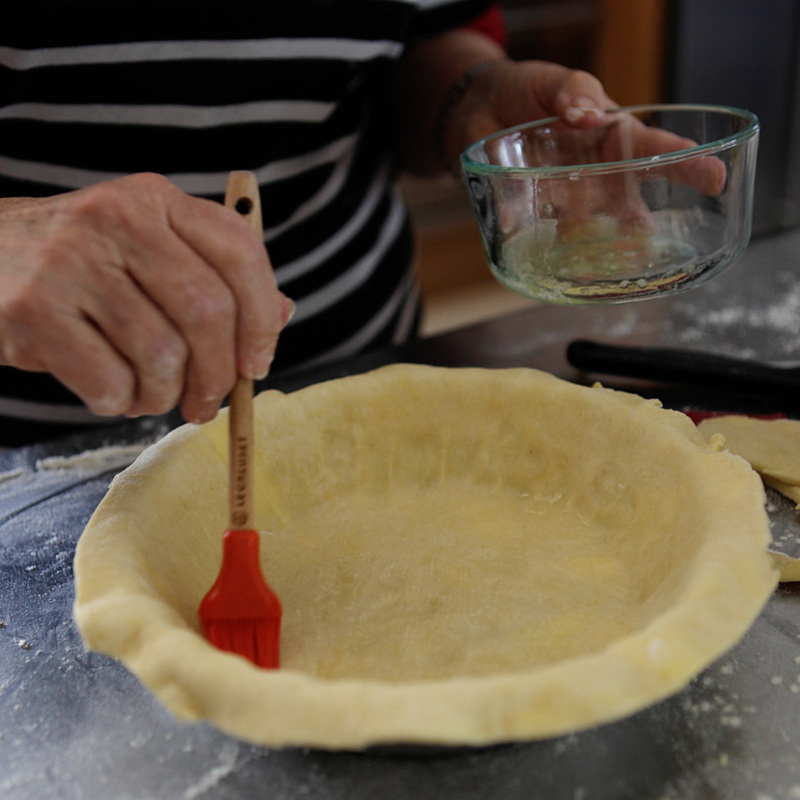 2.Turn into pie shell and dot with the butter. 3.Cover with pastry and crimp edges into a nice scalloped edge. 4.Brush top with the egg white and sprinkle with the sugar. 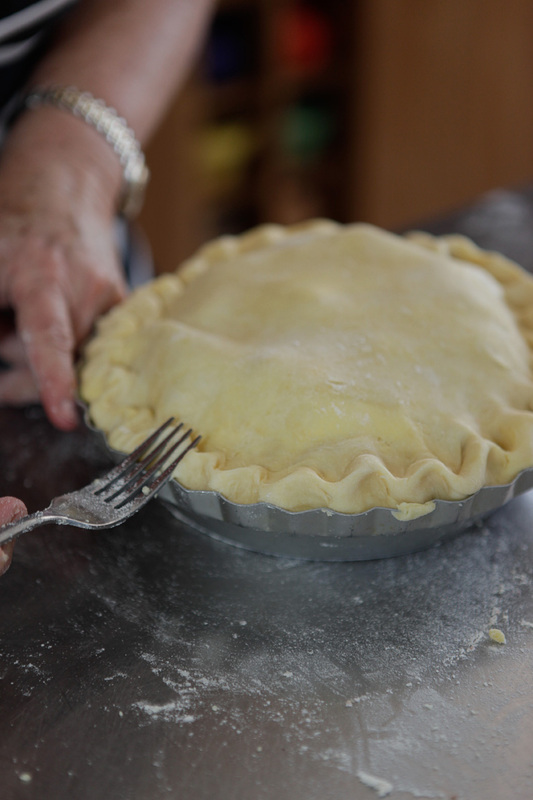 5.Cut decorative steam vents and decorate with pastry leaves if desired. 6.Bake at 200°C for 20 minutes. Then reduce heat to 180°C for another 45 minutes or until the crust is golden and the filling is bubbly and thickened and trying to “escape” through the vents! 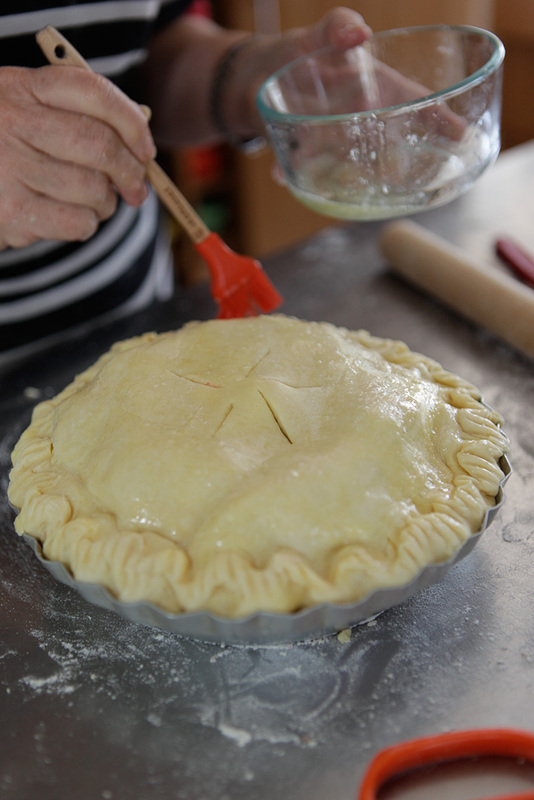 7.Let stand for at least 45 minutes to allow easy cutting.